Making her the envy of the office has never been easier. 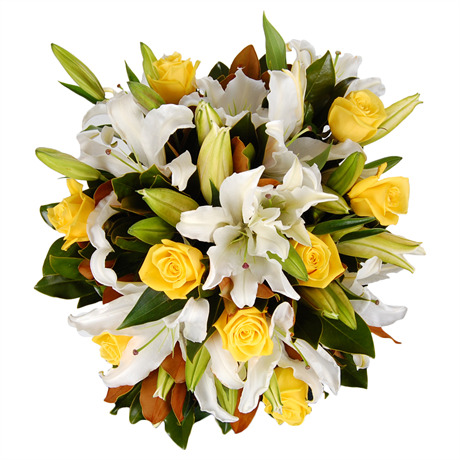 Our Joana arrangement is a vision of creamy white and sunshine yellow, and boasts perfect roses and elegant Oriental lilies accompanied by lush foliage. Fragrant, sumptuous and the modern, this innovative bouquet is perfect for romance, as a birthday gift, or even as a lovely thank you gesture. Display your taste with this impressive bouquet, and to truly maximise the impact, purchase a large vase. She’ll love your thought when the flowers come in their own stylish container.